This service is only available to Avalon property owners. We regret that we can not ship oversized library material. New DVDs and video games are not included in this program. We require that patrons using this service have library accounts in good standing. If you are planning to be away, there is no reason not to check out Library material. Ask for a "mailer" at the circulation desk. Take the Library with you! 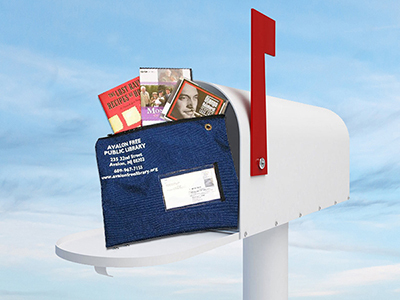 Just need a mailing label? Request a label to be sent by email here.